Destination Imagination with Kimberly Johnson- Kimberly shared activities that I was able to use in my classroom on Monday. She is full of energy and shared activities that suit the needs of students who are full of energy. I will be using her strategies now, as a classroom teacher, and in the future as a school librarian. AASL Best Websites for Teaching and Learning with Heather Moorefield-Lang – Heather is a great speaker and shared some of the best websites for teaching a learning. I can’t wait to incorporate these websites into teaching and student projects. From creating banners and infographics in canva.com to turning a quote into a masterpiece with recitethis.com, I think I’m going to be keeping myself and my students busy and entertained. 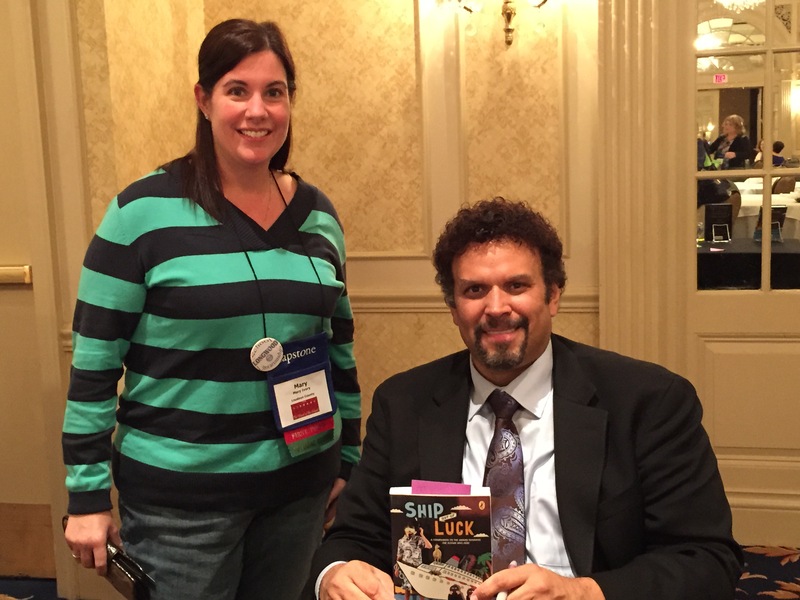 Take 5 with Krista Hartenbach- Krista shared how she transformed the perception of the school librarian at her school with five minute presentations at every faculty meeting. By providing tips, addressing misconceptions and concerns, and sharing resources, Krista changed the way her school library was viewed and utilized. This was a beneficial session since I’ll be a new librarian at a school in the near future. 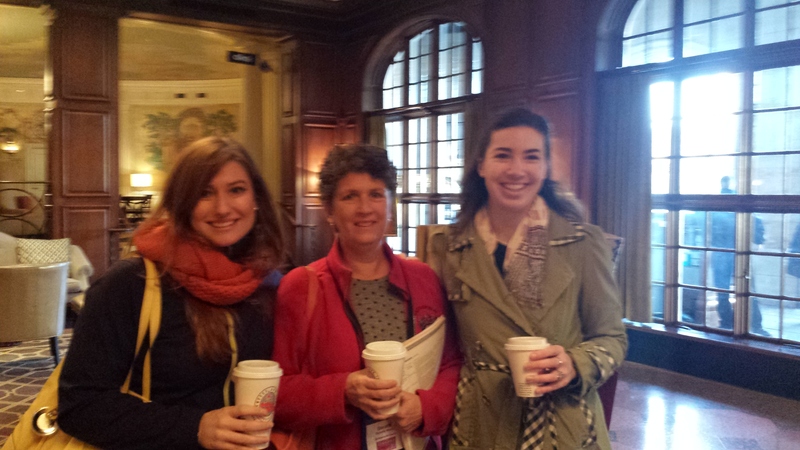 I learned so much at the conference that I can apply to life as a librarian, but what so impression was the sense of community and sharing that the conference offered. I’m excited for a future in School Librarianship. Had a great time at my first conference, and was happy to sit in on informative sessions that are relevant to what I am doing with my library. 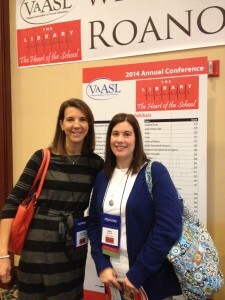 Heather Moorefield-Lang demonstrated some of AASL’s best websites and made me want to rush home just to try them out. Of course they don’t seem quite as easy as when she demo’d them, but after a bit of practice I’ll get it. I heard about popular books for middle school students, how to flip the library so students are more self-sufficient and how to use a program to track library usage (LibraryTrac). Knowing how important data is these days, having numbers to back-up why and how often the library is being used is a good way to show school administrators that libraries truly are the heart of the school. What an amazing whirlwind weekend of learning and fun! 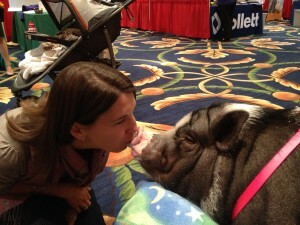 The conference offered so many break-out sessions; it was hard to choose. 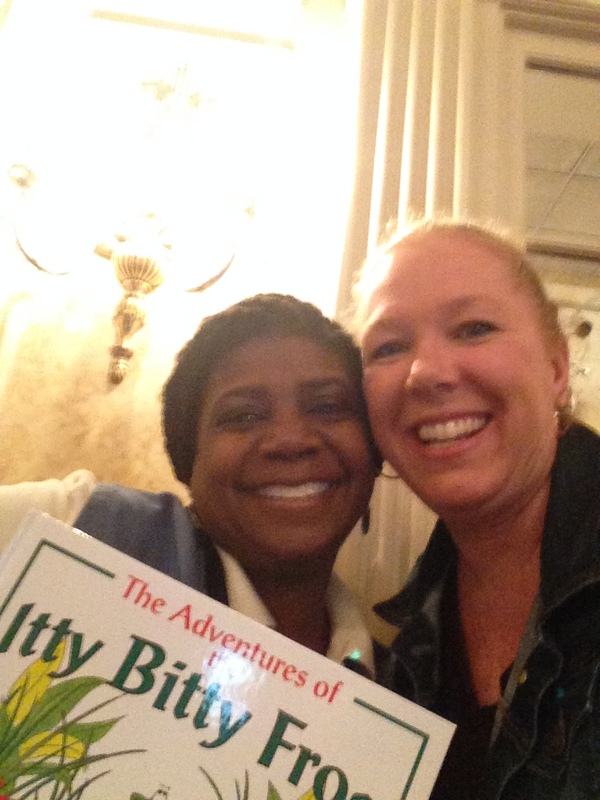 I learned about Makerspaces, AASL Best Websites, new release books, top ten trends for 2014, and spent time with my new favorite author/presenter Kimberly Johnson. Ms. Johnson is a firecracker! You couldn’t possibly walk out of her presentation without a smile and a new-found love of teaching. Her session included engaging movement and learning games for students, strategies to increase student vocabulary, ways to help kids turn $5 words into $1,000,000 words (insert her “Rags to Riches” song here),and fabulous poems. She reminded us to TALK THE POSITIVE! Thank you Longwood University and Virginia Association of School Librarians for this incredible learning opportunity. 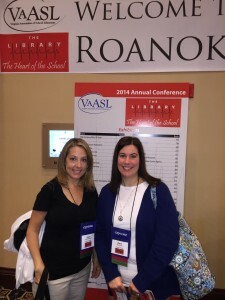 This past weekend I had the pleasure of attending the Virginia Association of School Librarians (VAASL) conference in Roanoke. Besides spending time with my colleagues from the Loudoun cohort of Longwood University, it was wonderful to meet so many librarians from around the state. 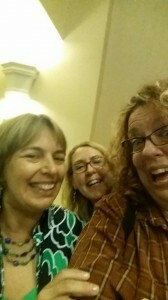 There are multitude of great things happening in Virginia libraries! My favorite session was presented by the dynamic Heather Moorfield-Lang who compiles the VAASL “best of” website and apps lists every year. She presented several websites like haikudeck.com, pearltrees.com and thinglink.com. I am looking forward to sharing this information with my school and colleagues. 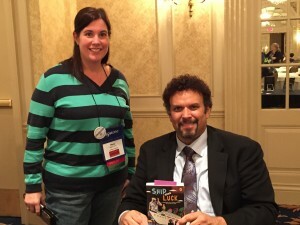 The speakers were dynamic and invigorating, especially Kim Johnson and Neal Shusterman. Hands down, the highlight of the weekend was hearing Dr. Audrey Church introduce each of us at the Longwood Alumni gathering. Dr. Church makes all of us feel like we are the most important student to her, but to realize that there was a great network of librarians and future librarians in her fold made me feel like I am part of something special. I attended several sessions at Friday’s Virginia Association of School Librarians Conference. The session with the most take-aways that apply across the board was the AASL’s best websites for teaching and learning. I photocopied the bookmark for my colleagues and encourage you to visit www.ala.org/bestlist. Current and past winners are listed there, and the links are grouped into six categories: media sharing, digital storytelling, manage & organize, social networking & communication, curriculum collaboration and content resources. Every site listed should have some level of free access for educators, although an upgrade may have a price tag. You can visit the presenter’s website at http://www.techfifteen.com/tech-15.html.